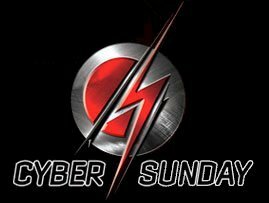 Cyber Sunday was an annual professional wrestling pay-per-view event produced by World Wrestling Entertainment (WWE). In 2004 and 2005, the event was known asTaboo Tuesday and was exclusive to the Raw brand. During the event’s “Taboo Tuesday” years, it was the first regularly-scheduled pay-per-view held by the company on a Tuesday since 1991’s This Tuesday in Texas, the first regularly-scheduled non-Sunday pay-per-view since the 1994 Survivor Series, and the first non-Sunday pay-per-view of any kind since In Your House 8: Beware of Dog 2 in 1996. The inaugural event was held in October, and the 2005 event was pushed back to early November. By 2006 the show was moved to a more traditional Sunday night slot—alleviating problems with the taping schedule of SmackDown! (usually held on Tuesdays)—and renamed Cyber Sunday.